My favourite thing to have on while working on NeedlePrayer projects is uplifting music. And one of my very favourite songs is Michael Card‘s The Basin and the Towel. 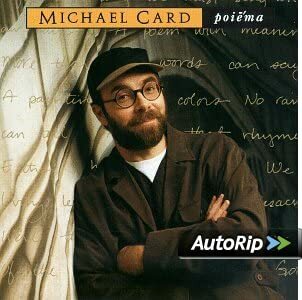 Amazon.com: Poiema: Michael Card: Music. This song references the beautiful episode from the Gospels where, at the Last Supper, Christ takes up a basin and towel and washes the feet of the apostles. It is a call to service. It challenges us to think beyond ourselves, and find purpose in serving others. Even our Lord focussed on service, so how can we be above it? What a wonderful way to comfort our lonely souls than to connect with others and God through action, through work, as well as through prayer.